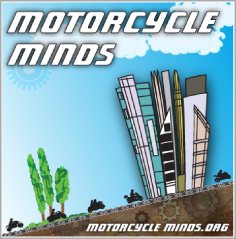 Right To Ride reports that over in Euro land discussions are afoot that could change the world of motorcycling as we know it. A European Commission Motorcycle Working Group (MCWG) consisting of representatives from member states (National Government “Experts”), Motorcycle Industry, Motorcycle Retail Associations, Motorcycle User organisations and Associations, Uncle Tom Cobley and all, have been discussing proposals for a new framework regulation for motorcycles to regulate emissions and the safety of motorcycles. How does this affect you the rider who buys the bike, wants to modify it, wants to service and maintain it and ultimately sit on the seat, engage gear, turn the throttle and enjoy the ride? The language from Euro Land is not on “positive” modification, improving the motorcycle, instead it concentrates on stopping riders from modifying their bikes or in their “speak” – the anti-tampering of motorcycles. This anti-tampering proposal consists of a raft of emission and safety measures. Regulations on emissions include the introduction of stricter emission limits, CO2 labeling, and in-use compliance measures (which in itself is not a bad thing) but could include stringent anti-tampering measures. Safety measures aim to reduce road casualties, such as mandatory advanced braking systems and a limit on brake horse power. Anti-tampering measures encompass the motorcycle power train (engine, transmission and if applicable the cardan (drive) shaft / belt drive / chain drive, differentials, the final drive, and the driven wheel tyre (radius). Other considerations include on-board diagnostic systems, access to repair and maintenance information and finally road worthiness testing (MOT) across Europe. 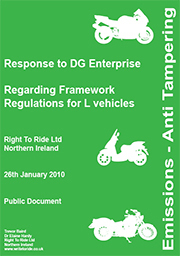 Right to Ride contacted the chairman of the Motorcycle Working Group (MCWG) at DG Enterprise in order to ensure that any outcome would not negatively affect Northern Ireland motorcyclists. As a result, DG Enterprise (MCWG) asked for our views and recommendations regarding the proposed changes in regulations which include Road worthiness testing (RWT) in all European Union countries and On Board Diagnostics (OBD) to evaluate emissions through RWT; Anti-tampering measures to increase safety and ensure that emissions are within the required limits. 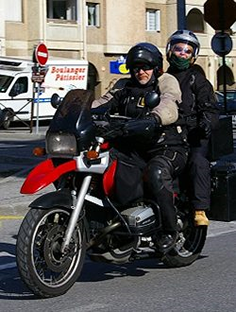 Meanwhile back in Brussels, FEMA (Federation of European Motorcyclists Associations) has suggested, “Singular Re-inspection after modification of safety-critical parts,” without mentioning what a safety-critical part is; nor how much this could cost motorcyclists; how it will be implemented; how it will be operated and who will do the inspections. Does this mean that riders will have to submit their bikes for testing every time a new part is fitted or each time the motorcycle is modified? Using the Commission’s definition – all parts of the power train are safety critical.